One of the beautiful things about cinema is that there are so many ways to tell a story. Straightforward narrative filmmaking can have its benefits if the script and performances are strong enough, but enhancements to the way that the plot is framed can be truly magnificent. Experimental ideas don’t always go well because the narrative they follow often comes secondary, creating an intoxicating experience without much substantive literal content. And then there comes along the rare film that truly appeals to look at the world in a unique way, introducing characters and their perspectives that feel impossibly original and authentic. 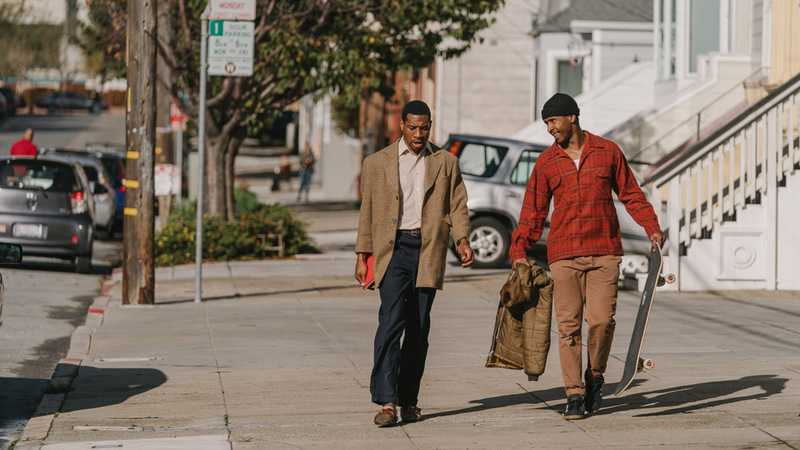 Jimmie Fails (Jimmie Fails) travels each day across San Francisco with his best friend Mont (Jonathan Majors) from his grandfather’s home. They await a bus but usually end up hopping together aboard Jimmie’s skateboard. Their primary activity finds Jimmie visiting the home his grandfather built years earlier that has since been lost by his family and is now inhabited by a wealthy white couple. When those residents move out, Jimmie sees an opportunity to reclaim the home that he believes is rightfully his, moving in his belongings and feeling revitalized by the chance to once again be in a place that fills him with an incredible sense of purpose and pride. Describing this film is difficult because, almost immediately, it gives its audience an idea of how Jimmie and Mont move through the world, looking at their surroundings and trying not to acknowledge how much the neighborhoods have changed. Jimmie works in a nursing home and Mont cleans and sells fish, but they spend just as much time dreaming about a long-lost house and writing plays, respectively. Their lives may not be anywhere near as glamorous or stable as they would like them to be, but they’re not going to let reality get in the way of pursuing their dreams. 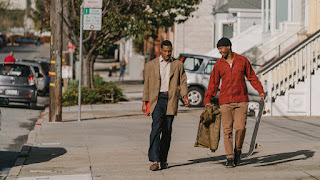 Fails delivers a revelatory performance as a version of himself, in collaboration with his real-life best friend Joe Talbot, who directs, making this a formidable San Francisco-set meditation on race and success in the vein of a very different Sundance hit from last year, “Blindspotting.” Majors is mesmerizing as Mont, who occasionally approaches a conversation as if he has staged it and written its participants’ lines, staying true to his friend through his own passions. This film’s visual style is gorgeous and captivating, perfectly matching its magnetic story.